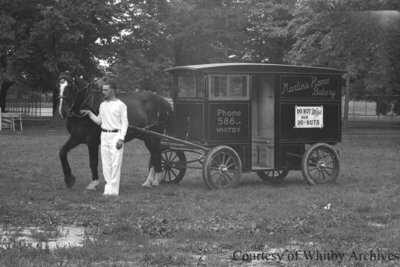 Black and white negative showing the delivery wagon for Martin's Home Bakery. The man standing beside the horse is unidentified. Martin's Home Bakery Wagon, August 4, 1939, Marjorie Ruddy. Whitby Archives A2014_040_767A.